Today I want to share with you this beautiful wildlife sanctuary. It looks like at one point in time, it was a beautiful structure that over the years has been forgotten. Although civilization may have abandoned it, nature has now welcomed and re-purposed it into a peaceful resting area for all kinds of wildlife. This beautiful scenery picture is inspired by Little Branch and Dysfunctionality Designs in the following current events and locations that are listed below. Shiny Shabby - (April 20th ~ May 10th) TP Here!! We Love RP Event - (May 4th ~ 31st) TP Here!! 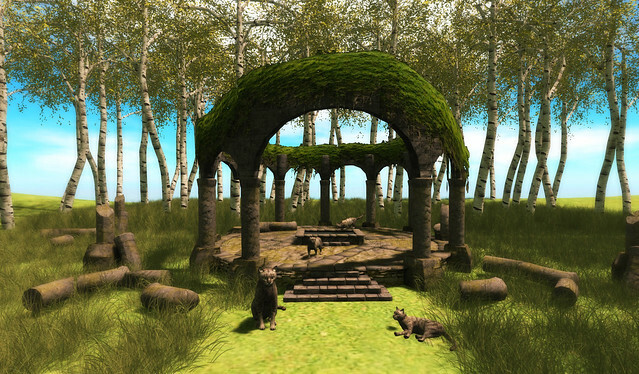 Fameshed Event - (May Round ends on the 31st) TP Here! !